The ArtsScène Gallery tour is back ! The 5th edition of the ArtsScène Gallery Tour will take place on Thursday, May 15, 2013 with a new formula featuring even more interactive and muliti-sensorial artistic discoveries. On the agenda: welcome cocktail at the Art Galleries of Yves Laroche, Lacerte Bac, followed by artist’s studio visits, and new galleries, an anglophone tour is available, wine will be served at each venue, food at every stop along the way, and to top it all off, surprises at the end of the night at Massivart! * Guided tour numbers are intended to facilitate the registration process for people who want to do their gallery tour together in the same group. The annual artsScene Montreal Gallery Tour took place this year on April 3rd, 2013. In addition to being artsScene’s flagship event and bringing together over a hundred art fans, the 2013 edition was particularly innovative in the varied selection of galleries and studios it presented. 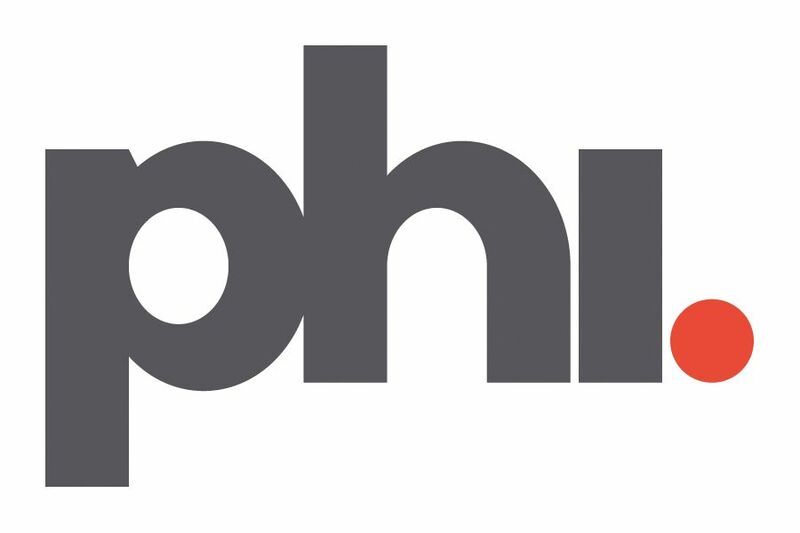 From the PHI Centre to The Arsenal, five tour groups experienced diverse perspectives into the local contemporary arts scene. Artists’ studios and galleries were in the spotlight throughout the evening. 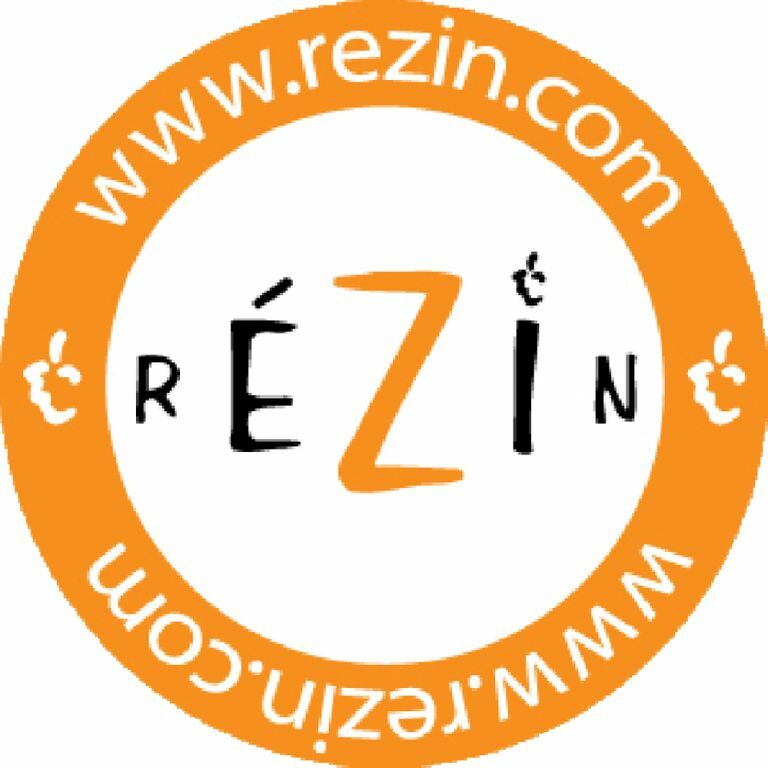 A team of sommeliers from réZin showcased specially selected wines relating to the personality of the works. The evening allowed featured artists to share their vision with the audience, network and mingle at the Arsenal for the closing cocktail. On Wednesday May 29th, artsScene Montreal was invited to participate in an information and networking session organized by the Conseil des Arts de Montréal. Hosted by Natalie Chapdelaine, Art-Business Project Manager, the event aimed to explore innovative ways for the business and arts communities to collaborate. artsScene Montreal’s President Sébastien Barangé contributed to a panel discussion with Alexandre Boyer of Arrimages, Sévrine Labelle of Prix Arts-affaires, and Ugo Dionne of Bénévoles d’affaires. Each organization shared information about their respective programs, as well as helpful networking tips (don’t just talk about yourself – listening is key!). Ugo Dionne shared some relevant insights about the challenges of matchmaking between professionals who want to volunteer and cultural organizations, namely to treat the process as if you were hiring for a paid position, interviewing several candidates rather than picking the first one who comes along. The panel was followed by presentations by Valérie Dubreuil of Target Canada and Morvan Le Borgne of Gaz Métro, who shared tips on how to apply for corporate grants. The evening wrapped as participants had the chance to speak with representatives from the Conseil des arts de Montréal, Bénévoles d’affaires, Jeune chambre de commerce de Montréal, artsScène Montreal, Jeunes chambres des communautés culturelles and Carrefour Jeunesse Emploi. Participants connected with their inner-artist at the Montreal Museum of Fine Arts as representatives from the En Masse group led a collective drawing workshop. Participants got the opportunity to exchange with artists and enjoy works by the emerging Québécois dancer Raphaëlle Perreault, as well as by the New York based Brian Brooks Moving Company, with their incredible piece Big City, Motor. Architects from this established Quebec-based firm shared their thoughts on several of their projects. The evening provided an opportunity for young professionals, business people and artisans to discuss their shared interests in a field that touches us all, allowing us to discover new perspectives on this artistic practice. The annual Gallery tour brought together more than one hundred art lovers, who, over the course of 5 different tours starting at the PHI Centre, discovered artists’ studios and new galleries, gathering to complete the evening in style at the Arsenal. An intimate event hosted by the first person in the arts to be named as part of the “Top 40 under 40” in 2009.
artsScene Montreal was invited to participate in an information and networking session organized by the Conseil des Arts de Montréal, exploring innovative ways for the business and arts communities to collaborate. A chance to discover the “Like Thunder Out of China” exhibition, accompanied by the curators Margot Ross et Pia Copper. The Joyce Yahouda Gallery and The Residences at Ritz-Carlton Montreal invited artsScene Montreal’s sponsors to discover works exhibited at the residences. Participants had the opportunity to meet with the artists and the gallery owner Joyce Yahouda. A conversation with Vy Nguyen, Director Private Wealth, Business Development, at BMO Harris Private Banking and Maxime Codère, CPA, CA, CIRP, Director of Transactions and Restructuring, KPMG inc. When you think of artsScene, what adjectives come to mind? Vy Nguyen (VN) : Aesthetic, enriching, surprising. Maxime Codere (MC) : The quality of artistic discoveries, of events planned, and of the people you meet and of the people involved. Of all the artsScene projects that you support, do you have a favourite? If so, why? VN: We are a principal partner and we believe in diversification and community enrichment through the arts. Too little is known of all the existing arts, it’s therefore important to promote them. MC: As responsible for the grants and sponsors committee, my efforts have supported artsScene’s financial ambitions. With the Young Patrons’ Club, my focus has been on encouraging young professionals to financially support the arts and to invest directly in the arts themselves. As an artsScene partner you are a supporter of culture generally, but do either of you have a favourite art form or art that you engage with day to day? VN: I don’t create art, but I love contemporary visual art in general. MC: I am primarily interested in visual art, music and architecture. What do you hope to see in the future in terms of art in Montreal? VN: A broader local influence with a young public, and a larger democratization of the milieu. MC: That leading, refined and innovative art be consumed by a larger portion of the population. Activities for the 2013-2014 season will be finalized over the course of the summer. A preliminary program will be launched soon. Stay tuned! 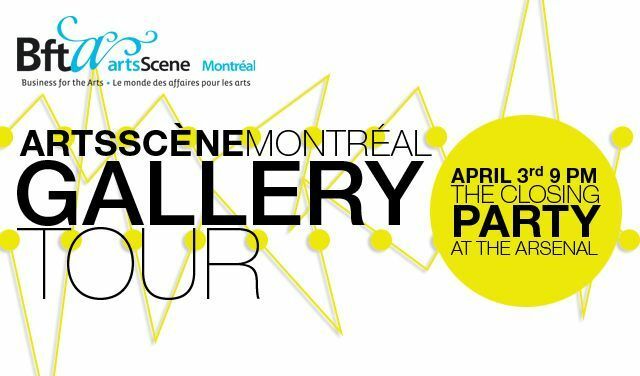 The artsScene Montreal Gallery Tour is back! Dive into the world or contemporary art with an evening of discovery in Montreal galleries and artists’ studios. The 4th edition of the artsScene Gallery Tour is back this year with a new formula featuring even more interactive and multi-sensorial artistic discoveries. On the agenda: cocktails and a bite to eat at the PHI Centre, artist studio visits, new galleries, a new tour in English, original wine and art pairings in each venue, food at every stop along the way, and to top it all off, surprises at the end of the night at Arsenal! On February 12th, more than forty professionals participated in our Architecture Behind the Scenes event with Ædifica. Over the course of the evening, the firms’ architects shared their thoughts on their varied accomplishments. They presented projects with significant challenges but immense social impact, such as a hospital construction project in Haiti. They also talked about the ups and downs over the course of the lifecycle of a project at the heart of Montreal’s development, the 2-22 Ste-Catherine building. Finally, they discussed their commercial retail business, in which a company’s DNA is reflected in the space it occupies through attentive architectural and design choices. This evening, the first of its kind in the field of architecture, was a resounding success. We brought professionals, business people, artists and artisans together to discover another cultural endeavour, architecture. Eagerly awaited by Montreal’s young professionals, artsScene’s upcoming “En coulisse” event will partner with Tangente to create a behind the scenes introduction into the world of contemporary dance. This exclusive activity will be held on November 22nd in the Studio Hydro-Québec at the Monument National, from 6:30 pm to 9:30 pm. Guests will be treated to a dance performance and behind the scenes access with up and coming Quebec artist, Raphaëlle Perrault, followed by the New York based Brian Brooks, in his fourth show at Tangente. While Perrault’s Rôleplay features an atmosphere of electro-formalism, pulsating music and a quartet of female dancers experimenting with a repetitive phrase from fresh angles, Brooks’ breathtaking Big City, Motor explores the physics of bodies in perpetual motion, contrasting aspects of formalist postmodern dance, physical sports, parkour and street dance. After the show, guests will be able to chat directly with the artists, an opportunity to share their reactions and questions. Faithful to its origins for more than 30 years, TANGENTE is a dedicated to experimental contemporary dance. To know more about the artists who will perform during this evening, visit www.tangente.qc.ca. Join us for an event that will give you the chance to do what you’ve always wanted to: draw on walls. What’s more, here is an opportunity to draw on museum walls with the help and guidance of widely recognised artists from the EN MASSE large-scale drawing collaborative platform. artsScene Montréal, a national initiative of Business for the Arts, is dedicated to fostering the implication of emerging business leaders in the arts. As a privileged platform between the business and art worlds, artsScene aims to encourage philanthropy and artistic vitality in Montreal with values such as respect, sharing, creativity, commitment, openness and communication. Connect private sector funders and volunteers to arts and culture organizations in their community through our programs. Communicate the value of business investment in arts and culture through our surveys, research, advocacy and publications. Recognize outstanding business leaders who support arts and culture through our annual Awards. Copyright © 2011 Business for the Arts. All rights reserved.